In the continuation of our exploration of the lesser-known cities around the world that cater to artists, it's time to move things out of the North and get a break from the relentless winter that just won't seem to let up. 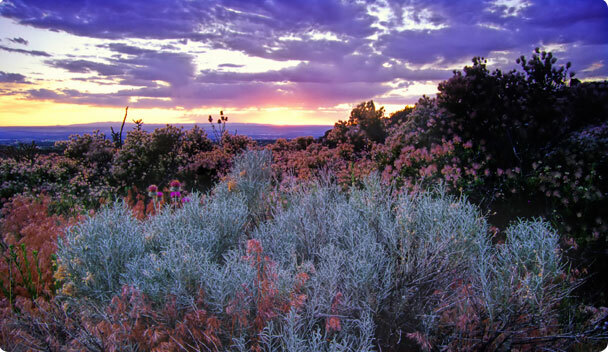 Santa Fe, New Mexico is definitely on the lesser-known side of things even to those in North America, and so is probably virtually unknown throughout the rest of the world. Located in a stunning series of geological formations, it has a feel truly all it's own - that has created some truly beautiful pieces of work. Not that it's all artistic glory, of course. Santa Fe has a huge reliance on tourists who come for the art community without necessarily being a part of the art community, which leads, as anyone who's visited the artistic and cultural centres of Europe can attest, to a preponderance of kitsch and spineless, shameful aping of true talent. But paradoxically, this welter of second-rate mass-produced artwork helps to highlight the truly amazing works, and some even argue that it has inspired the serious artists of the region to make even more creative distinctions and powerfully enabled their work. Santa Fe boasts a number of famous galleries, including the Museum of New Mexico, which administers several galleries, is in fact older than the state itself, boasting a number of treasures from contemporary and historical American artists, and is currently featuring a beautiful exhibition of Goya's work in conjunction with the British Museum, exploring how the famed Spanish artist's work informed and inspired a good deal of art in the American Southwest. The Georgia O'Keeffe Museum is also located in Santa Fe, boasting the world's largest collection of works from the internationally-renowned artist, spanning the extend of her career from 1901 to 1984, when her career was sadly ended by failing eyes. It is a testament to American modernism, and is the only museum dedicated to a world-famous female artist. The real contemporary treasures are likely to be found in the city's numerous small, independent galleries, which may very well outnumber the hotels in the city limits - over 240 individual galleries at last count. The Santa Fe Art Fair, about to enter it's fourteenth year of exhibition, is also an experience not to be missed, and is rapidly gaining renown around the world as more and more far-flung galleries sign on to contribute exhibits each successive year.